A federal jury found portfolio manager Michael Steinberg of SAC Capital guilty of insider trading. SAC Capital portfolio manager Michael Steinberg was convicted of insider trading on Wednesday, the latest in a string of blows to one of the country's most prominent hedge fund firms. Steinberg was accused of shorting technology stocks Dell (DELL) and Nvidia (NVDA) based on inside information, according to documents from federal prosecutors in New York. "[I]n search of an edge, Michael Steinberg crossed the line into criminal insider trading," U.S. Attorney Preet Bharara said in a statement. "Like many other traders before him who, blinded by profits, lost their sense of right and wrong, Steinberg now stands convicted of federal crimes and faces the prospect of losing his liberty." Steinberg was charged with one count of conspiracy and four counts of securities fraud. Each of the four latter counts carries a maximum sentence of 20 years in prison, though the pending sentence will likely be substantially shorter than that. His lawyer could not immediately be reached for comment. Steinberg is the latest employee of Steven Cohen, founder and chief executive of SAC Capital, to feel the hammer of federal prosecutors. A spokesman for SAC, Jonathan Gasthalter, declined to comment. Related: Read the indictment, U.S. versus Steinberg. The feds have been circling SAC for years. 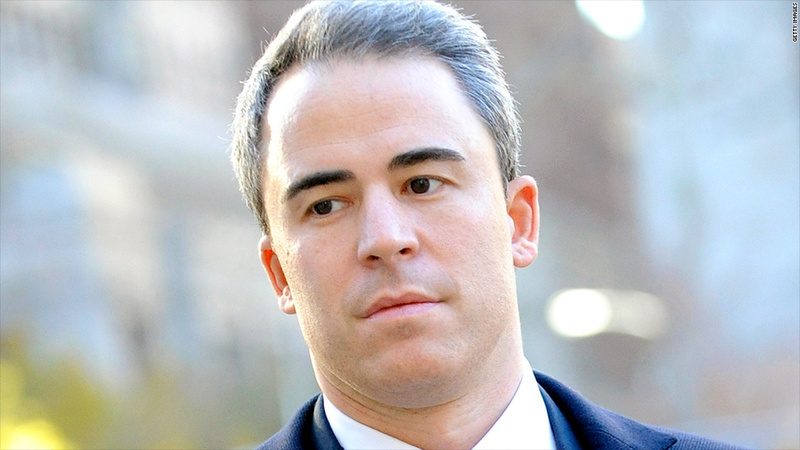 In November, the hedge fund itself pleaded guilty to insider trading charges. Prosecutors slammed SAC for fostering a culture of insider trading "that was substantial, pervasive, and on a scale without known precedent," according to the indictment. SAC was ordered to close its investment advisory business and pay a record fine of more than $1.8 billion. That figure includes a $616 million fine by the Securities and Exchange Commission earlier this year. Earlier this year, the SEC filed civil charges against Cohen, accusing him of failing to supervise employees who engaged in insider trading; he has not been charged criminally. Cohen, of affluent Greenwich, Conn., is worth $9.6 billion and has a penchant for collecting Picassos. While the feds haven't pressed criminal charges against Cohen, eight of his subordinates have been charged with insider trading. Six of them have pleaded guilty, including former analyst Jon Horvath, who worked under Steinberg and served as a key witness in the case. Horvath allegedly warned Steinberg that Dell was going to miss on its earnings in 2008, and asked him to keep the "sensitive" tip on the "down low." The feds say this insider information prompted Steinberg to sell the stock short before shares plunged 13%. Another ex-SAC employee, Matthew Martoma, is currently fighting the insider trading charges against him. He has pleaded not guilty and is awaiting trial. Martoma is accused of participating in an insider trading scheme worth $276 million involving Alzheimer's drug experiments by Irish biotech firm Elan (ELN) and Wyeth, a New Jersey-based subsidiary of Pfizer (PFE).